When it comes to making travel plans, the options can be overwhelming. Five intrepid family travel experts add to the mix with their top picks for a memorable winter season adventure. 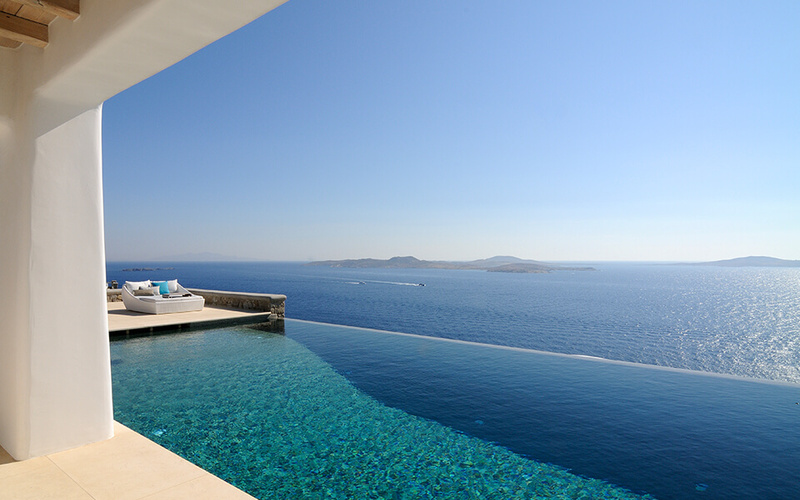 Go for a Greek Getaway. “We went horseback riding along snow-packed trails and riding in a one-horse open sleigh ... something I always wanted to do,” added Schretter, who writes about travel from her home in Virginia. Downhill skiing and snowboarding are available at nearby Steamboat Ski Resort and one of the ranch's vehicles will take families there, notes Schretter. “it’s my favorite destination for families who love nature and wildlife,” explains LiLing Pang the Co-founder and CEO of Trekaroo.com, an independent family travel community. “This Central American country is safe and easy to negotiate even for those who do not speak Spanish. In a week, you could be bird watching and zip-lining in the Monte Verde cloud forest, surfing and boogie boarding along the white sand beaches of the Guanacaste region, and watching playful monkeys and sloths in the rainforest,” offers the California-based mom and entrepreneur. December through May is the dry season in Costa Rica, adds Pang, which makes exploring that much easier. 'Halfway to Each Other: How a Year in Italy Brought Our Family Home, chronicles her family’s adventures during an unexpected sabbatical in the small town of Nervi, near Genoa, Italy. 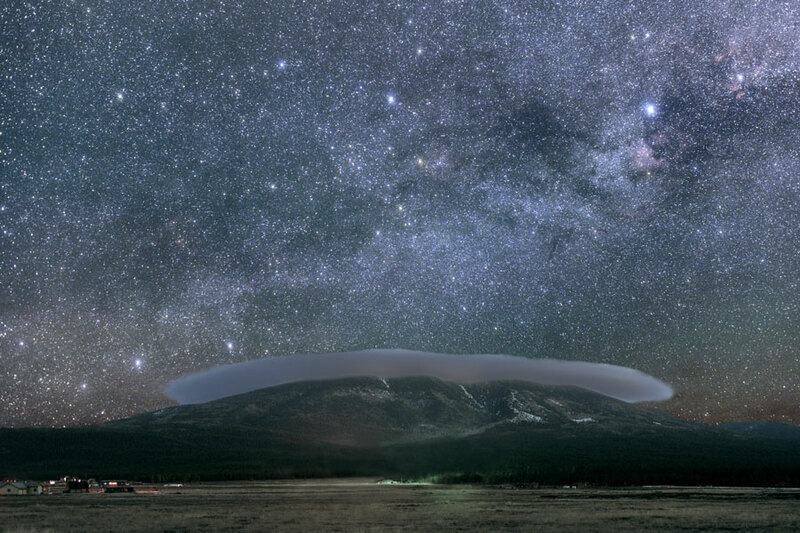 Expect stellar stargazing as well as the chance to tour the Lowell Observatory in Flagstaff, which was the first city to be designated a Dark Sky City by the International Dark-Sky Association. See the telescope via which Pluto was discovered in the 1930s and peer through the century-old Clark Telescope. Head south to Tucson, often noted as the astronomy capital of the world. Check in to the Westin La Paloma, where families can learn about the celestial world in the foothills of Arizona’s Santa Catalina Mountains. A “cosmic concierge” will provide an educational preamble while you enjoy fireside s’mores. Bolstered by your new information and the fresh night air, go forth to identify the sea of constellations above. 2. Natural Bridges National Monument, Utah. Home to some of the darkest skies in the country, this scenic landscape was the first to receive the International Dark Sky Park certification. Massive natural bridges form star-filled windows through which you can observe the skies as the Pueblo people did some 800 years ago. Among the most spectacular sights is the river of Milky Way brilliance observed rising over Owachomo Bridge. 3. Death Valley National Park, Calif. The park’s 3.4 million-acre expanse and the region’s clean, dry air combine to provide an ideal vantage point for observing shooting stars, meteor showers and constellations galore. The conditions have earned the park Gold-Tier Dark Sky status. The area shares a strong commitment to avoid light pollution and keep the night sky visible. Stay at the Oasis at Death Valley and join the Las Vegas Astronomical Society for Star Parties on selected evenings or enjoy the gem-studded sky on your own. Relax on the beach by day and learn about the Pacific sky after the sun sets. This Hawaiian island is home to one of the world’s most important observatories and inspires the hotel’s interactive kids’ camps. During Cosmic Night, your youngsters will gather with astronomers for educational stories of the night sky. Each week, they’ll also have the option to join “A Camping We Will Go” and can learn to pitch a tent, stargaze, play flashlight tag and sample s’mores. Discovered by Magellan in the 1520s, his namesake dwarf galaxies are best observed mid-December through April. And Costa Rica, the home of pura vida, is one of the few places in the Northern Hemisphere where it’s possible to view the Large and Small Magellanic Clouds. Visit the Arenal volcano region for stunning vistas or relax in a jungle or seaside resort, where guided walks through lush flora and fauna are paired with observations of the night sky. From blue-footed boobies and howling monkeys to spewing volcanos and black sand beaches, a family vacation to either of these two adventure meccas is sure to create long-lasting family memories. 1. Visit Tortuguero National Park. One of the best parks in Costa Rica, this is a major nesting area for the green sea turtle as well as home to more than 300 species of birds, including herons and kingfishers, monkeys (howler, spider, and white-faced capuchin), sloths, caiman, iguanas, frogs, and butterflies. Learn about bats at Costa Rica’s Tirimbina Biological Reserve. Bats represent almost 50% of the mammals in Costa Rica (113 species). You’ll find out about the natural history of these curious creatures as well as their adaptations, reproduction and how they are captured for research. Enjoy the thrill of Class II and III whitewater amidst Costa Rica’s beautiful scenery while observing abundant wildlife beyond the water’s edge. 4. Explore Arenal Volcano National Park. Hop aboard the Sky Tram Gondola and check out the Arenal Volcano and Arenal Lake. Next up: ride ten zip lines down for the ultimate adrenaline rush. Home to one of the most popular indigenous markets in South America, your family will long remember the colorful Ecuadoran market, brimming with handmade items sold by the native people in traditional dress. This is one of the only sites in the Galápagos where the three species of the famous boobies can be found, along with two frigate species, plus a colony of bachelor sea lions along the beach. 7. See Santa Fe Island. Find out who will be “Beach Master” among the sea lions. Snorkel and swim or observe the sea life from a glass bottom boat. Check out the native land iguanas that are unique to this island. 8. Sleep aboard a cool ship. Travel by night. Explore new islands and habitats by day. (Families will like the quadruple cabins) Tilt your head to see an albatross cross the sky overhead. Sleep well, rocked to sleep by extraordinary natural beauty. For an update on ash, lava, steam and smoke, visit a volcano. These five destinations provide a multifaceted opportunity to get outside and learn more about planet Earth. 1 Arenal Observatory Lodge, Costa Rica. Wake to a chorus of tropical wildlife on this volcanic wonder. The majestic centerpiece of a rich rainforest setting can be observed from most guest rooms, the dining room and an expansive deck. Horseback riding, biking and hiking trails wind through old lava fields and soft jungle trails where howling monkeys, slithering snakes, butterflies and colorful birds beckon visitors. The last major eruption of Arenal took place in 1968. Austin Lehman Adventures offers great family tours to the region. 2 Mount St. Helens, Washington. On March 20, 1980, an earthquake of 4.2 magnitude reawakened this volcano, leading to the May 18 collapse and eruption. Today, families visiting the National Volcanic Monument can learn more about the geologic and biologic history of the area though interpretive talks, walks and theater presentations. Hiking, biking and helicopter tours also provide an expansive view of the region’s recovery. Ask about the Music on the Mountain series scheduled for this summer at the Johnson Ridge Observatory. 3 Katmai National Park and Preserve, Alaska. Accessible only by float plane or boat, this remote park is located on the Alaskan Peninsula near Kodiak Island. Spanning nearly 5 million acres, the protected region is the site of the Novarupta volcano’s 1912 eruption, considered to be the 20th century’s most powerful and heard as far away as Juneau. Today, visitors come to observe the dense population of brown bears and to fish for trophy rainbow trout, salmon and Dolly Varden trout that run in Katmai’s streams and rivers. During the summer months, meals and lodging are available at Brooks Lodge, a popular spot for bear viewing. The National Park Service also staffs a visitor center and offers interpretive programs. 4 Hawaii Volcanoes National Park, Hawaii. The historic Volcano House reopens this summer after a recent renovation, offering families the opportunity to wake to a magnificent sunrise over one of the world’s most active volcanoes. The only lodging option within Hawaii Volcanoes National Park on Hawaii Island, the hotel rests on the rim of Kilauea caldera with a view toward Halemaumau crater. Learn about active volcanism, the region’s biological diversity and Hawaiian culture through driving and walking tours as well as the Junior Ranger program. Ask about helicopter and boat tours. The landscape that became America’s first national park in 1872 experienced the first of three volcanic eruptions 2.1 million years ago. More than 640,000 years have passed since the most recent blowup. Although not currently erupting, the molten rock beneath the surface of the park is active and has recently caused the closure of roads near the most famous geysers. Visit this wonderland to learn more about what bubbles below and to see the herds of bison, elk, grizzly bears and wolves that make this park so popular.